What was it about my husband that drew me to him? We actually “met” online on Yahoo personals. I was actually getting ready to delete my profile when I saw a response from him. I don’t remember what his picture looked like, I don’t think there was one. What attracted me was his post about Halloween. We both love that holiday and Christmas is a close second. At the time he was also feeling out some Pagan/Wiccan leanings and I found that very interesting. As well as the fact he was helping the Chaplain on board his ship with Catholic Mass. I thought this all made for an intriguing combination. When we did eventually talk he had a very rich, nice tenor voice. He was and still is a great listener. So, I guess the first thing that attracted me to my husband was his mind and then his voice. As he talked me through the very rough time of finally breaking off with my then husband (as saga best left untold and the best thing that happened to me) and moving across country from San Diego to Virginia he talked to me. He would call me and talk me through the rough patches. I finally made it to Virginia on December 22nd in the morning. We met that evening at WalMart-because I knew where that was, and we have never been separated voluntarily since. I want to thank the wonderful people who have nominated me for the Leibster Award. This means so much to me. It has helped me to realize that people not only read my Blog, but like what they are reading and find it truly worthwhile. It is a great motivator to keep going. I am sorry that I have not kept up with each and every nomination. I am currently going to school for another Graduate Certificate to see if that helps open up my marketability for a job. I have gotten pretty far behind because I have found I like writing and blogging so much more than learning the information in my classes. Even though I find Program Management very interesting. I have to realize I have responsibilities to my family though, like cooking, cleaning and other mundane but important parts of running a household. And I not just need to catch up on my classes I have to. Therefore I am going to combine all my nominations and responses on one page. I do hope each every one of you that nominated me understands how much it has meant to me. 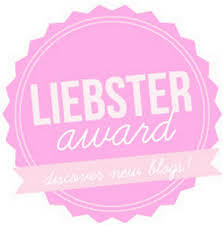 The Liebster Award is awarded to bloggers with under 200 followers to try to promote their blog a little and also bring together a community of bloggers. I could not live without my family. My name means Music in Spanish, Dance in French and Breeze in Hindu. It can be spelled Pavan, Pavone or Pavane. It was also a special piece of music written for royal funerals. So, I was a breezy, musical, dance number for a funeral. I retired from the Navy after 20 years. I was a Cardiovascular Technologist and Respiratory Therapist. I won third place in a female bodybuilding contest in West Virginia in 1982. I would love to go tour Ireland, Scotland and England. I love science fiction and fantasy stories. I love mysteries and a good thriller. I love the Lord of the Rings, The Hobbit series and most any kind of Sci-Fi/Fantasy movie. I will list the questions asked by my nominator under their name. My family. And the faith that I am here for a purpose. 2. What’s your biggest vice? Shopping. I have to be very careful with money. I tend to spend it without thinking. 3. What’s your favorite piece of jewelry or keepsake? My Wedding and Engagement Ring. My Wedding ring is my favorite though. 4. Biggest adventure you dream of or have been to? I dream of going to the British Isles. I actually have distant relatives there and know my clan. The Irvin Clan. My husband’s are the McAlpines. Depends on what your asking. I would side with the Humans in a conflict-depending on what the Alien’s intentions are of course. But, knowing humans like I do, we probably started it. 6. What burns your blood? 7. If you could have a holiday named after you, what would it be? 8. Err…who was Liebster? And why 11? LOL…I have no idea and I will have to look that up. Pancakes. Especially the Oakwood Cafe’s Sweet Potato Pancakes. They are to die for. 10. What’s your favorite cartoon bad guy? Brain from Pinky and the Brain. 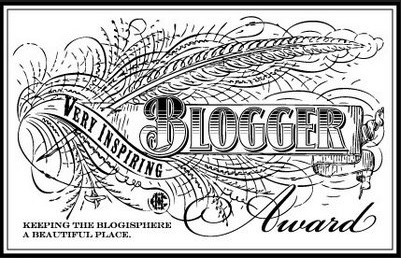 I find your blog creative and we think along the same lines on so many topics. Your writing style and the topics you discuss help me to smile and appreciate that there is someone else out there that appreciates the same things in life. 1. What is the most beautiful thing in the world to you? When my grandchildren smile and are happy. 2. What type of music can make you get up, singing and/or dancing, almost every time? Celtic music. I love Anuna and Riverdance is my favorite CD. 3. What is your favorite song/music of all time and why is it important to you? This is a hard one because I love so many types of music. I don’t think there is a genre of music I have not listened to and found something to like. Even heavy metal-the operatic kind more than the other straight heavy metal. There is one song that I tend to listen to quite a bit. As far as a singular song I am not sure. I have had so many In my life that has touched my heart, soul and just brought out emotions in me. I will think on this though. I am sure there is a favorite above all favorites in my head. 4. What is the one thing you love most about yourself, the thing that people would say is “just so you”? That I keep trying no matter what. That I have a drive to keep going. 5. If all of your responsibilities were taken care of (food, finances, health, emotional, etc. ), how would you spend your free time? Helping others. I would like to help create sustainable cities and find ways to help humanity and our Earth live together. But, one thing that has been on my mind and in my heart lately is building a home/school for children in the foster system where they can truly be taken care of and loved. Where they can learn they are of value to themselves and others. 6. If you could change one thing about people as a whole, what would it be? That they wouldn’t care about money anymore and only care about helping each other to “be”. 7. What is your favorite color and why do you believe it stands out to you? This is an interesting question because it seems to change weekly with my moods. But, overall I like shades of yellow. Nothing too bright. It stands out to me because it is a color of joy. 8. If you could go anywhere and do anything, what is the first thing you choose to do? I would go tour England, Scotland and Ireland. 9. Would you prefer to explore the mysteries of the ocean or the mysteries of outer space? The mysteries of outer space. The ocean is fascinating, but I have a real fear of drowning. Not that explosive decompression in space would be any better. Good Food, good conversation and lots of cuddling. 11. What does falling in love feel like to you? I blog to express myself. To find a creative outlet. I blog so that I can gain insight from others and also hopefully give some insight and encouragement to others. 2. What’s the most traumatic thing in your life that’s happened? I was raped when I was 15. It wasn’t my first, but it is the one I remember the most because of the level of betrayal. My mother put me in the situation and she knew that it could happen. She left me and it happened. 3. How do you deal with a$$holes? Depends on the a$$hole. There are those that I will try to talk to and try to understand what is going on with them. Other one’s I will ignore them. Saying nothing, smiling, turning your back and walking away can better than a slap in the face for some of them. 4. Do you believe in an afterlife? Yes. I know there is an afterlife. I have seen people’s “souls” leave their body as they died. My father visited me for a few days after he passed. I knew it was him without a doubt. Death is just a transition. I am reblogging this because it says so much of what I am feeling and thinking right now. A very good read. You don’t need me to tell you that right now we are going through fundamental changes via the Earth, humanity, and the new levels of accessible information resultant of the evolution of the internet. These changes transcend religion, race, nationality, and gender. They are manifest through the subjects of science, art, computer engineering, and any other discipline you can think of. Through the severe weather and climate changes occurring, worldwide discontent with the status quo, and gradual shift of power over to the masses. The alterations in the fabric of our lives have been coming for quite some time, as those perceptible enough will have noticed. This millennium, and certainly century, is a turning point for the Earth. Theories vary on what is and will be happening, but the main concern is the change is real.